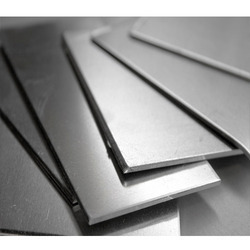 Our range of products include nickel alloys plates and stainless steel plates. Usage/Application marine engineering, chemical, petrochemical, hydrocarbon, thermal and food processing, oil and gas. Neelkamal Steels extensive inventory of nickel alloy plate is available to meet applications that require exceptional strength (even at high temperatures) and excellent resistance to severely corrosive environments.Vessels, heat exchangers, pipes, pumps, valves, scrubbers, and other equipment components used in the marine engineering, chemical, petrochemical, hydrocarbon, thermal and food processing, oil and gas extraction, power generation, and pollution control industries are prime applications for these high-performance alloys. With over 100 pieces of plate processing equipment in-house, Neelkamal Steels can provide you with nearly any shape or configuration required.Nickel, long used as an alloying element in thousands of alloys, is produced by a wide range of companies worldwide. It has an excellent track record for providing corrosion resistance, high strength at high temperatures, and aesthetic beauty in a wide range of applications. Nickel alloys are used today to provide cleaner and safer transportation, to provide clean food and water, to reduce emissions to air and water, to produce more durable products, to provide clean and renewable energy, and to provide efficient shipping and communications. It has become known as an "enviro-metal." NeelKamal Steels is one of the leading providers of unimpeachable variety of Stainless Steel Plates in the market. In order to maintain our reputation in the market we obtain only those products which are good in quality. Our exclusive Stainless Steel Plates are used in different industries. 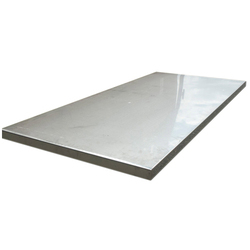 The Stainless Steel Plates are extremely sturdy and are easy to weld.C-45 is the strongest types of steel which is present in our stores and has the highest demand in market for moderate properties like thermal conductivity and thermal expansion and wear resistance nature.These types of Stainless Steel Plates are mainly used for the construction of steel structures, large diameter pipes, bridges, railway wagons, storage tanks, pressure vessels and boilers. We also have weather proof Stainless Steel Plates in our stores which are used in railcar construction. The Stainless Steel Plates are made up of quality materials and are available in various ranges of metal grades in order to meet the requirement of the customers.